Everybody loves decorating for the holidays but far fewer people enjoy taking those decorations down. In fact, it isn’t uncommon to see Christmas lights still displayed into late January and early February. Taking decorations down is a major pain and finding a good place to store those decorations makes the process even more frustrating. In today’s blog post, Affordable Family Storage Des Moines will take a look at some good ways to store your Christmas decorations efficiently. The Christmas tree is often the most difficult decoration to store because it is the biggest holiday item that you will store. If you aren’t careful, you can damage your tree in storage, especially if you don’t have a strong box or container. One simple solution is to saran wrap the tree and store it in a closet or attic. However, the best way to store your tree without risking damage is to keep the original box in good condition so that you can put your tree right back in the box come January. 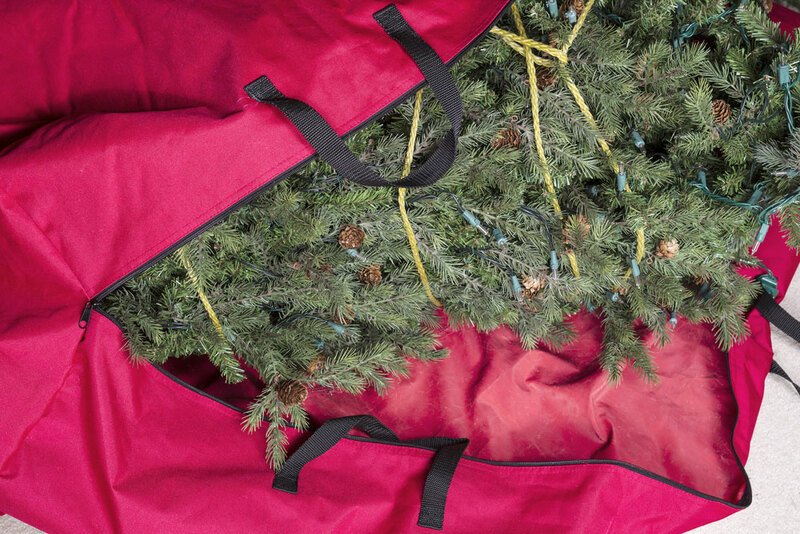 However, even though this will keep your tree in good condition, you will need a strong storage space for the tree. A storage unit is a perfect place to store your Christmas tree from January until November. Compared to other things that are kept in a storage unit, holiday decorations are the only things that you will take out of storage every year. With that being said, it’s important to keep all of your decorations, from ornaments to garland, in clear containers so that you know what decorations are in what containers. If you don’t have clear containers, you should at least set aside containers specifically for your decorations so that you can properly label them. Ornaments are the most delicate of your holiday decorations, so it’s important to take special care of them. For smaller ornaments, you can use old egg cartons, which provide a bit of protection. With bigger ornaments, however, there are fewer options. Sandwich bags are your best option, as long as you organize those bags into boxes or bigger bags. Finding storage space for your holiday decorations can be difficult. Renting a storage unit can help keep your home clutter-free by giving you a good spot to store your decorations. For more information or tips, give us a call at (515) 325-0248 or contact us online today.